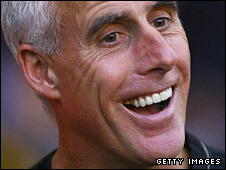 Wolves boss Mick McCarthy has been named the Championship's manager of the month for August. McCarthy pipped Alex McLeish of Birmingham, Gary Johnson of Bristol City and Preston manager Alan Irvine to win the award. Wolves have made an excellent start to the season under McCarthy, winning three and drawing one of their opening four league matches. They are currently sitting top of the Championship table.